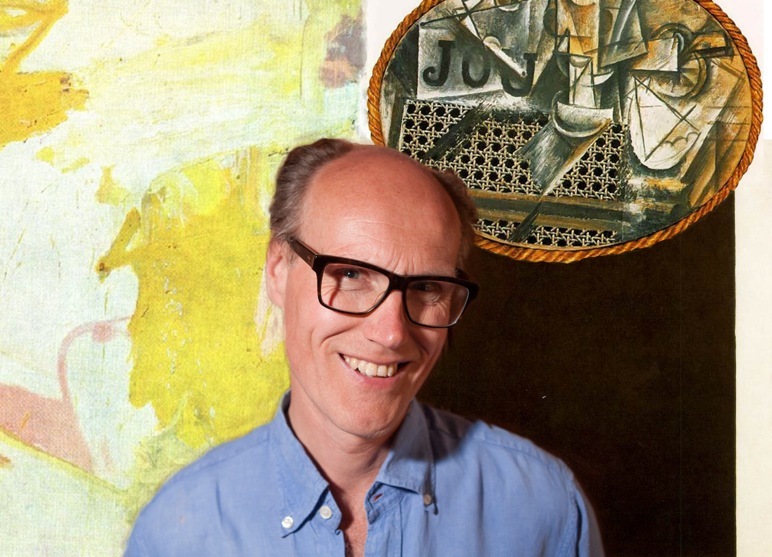 In the past, modern art was often seen as a sham but there are ever-growing youthful crowds, uninterested in old paintings of seascapes and Dutch country scenes, who cruise the Tate Modern – but, as Will Gompertz, the BBC’s Arts Editor, pointed out in his highly informative and entertaining talk on May 31st, there is still the problem of “comprehension”. What does it all mean? 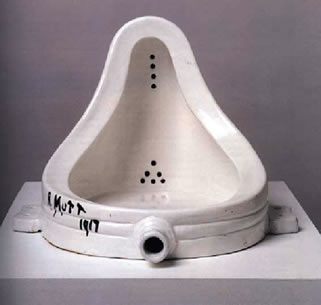 Fashions have changed and it is now much more acceptable to promote the merits of modern art – and, as Will claimed, ever since Marcel Duchamp transformed a urinal into a sculpture and called it Fountain nearly a century ago, art has often ceased to be all about skill. Will cited Paul Cezanne as the godfather of modern art. In a single painting of fruit on a table, he showed us the artist’s simultaneous multiple perspectives and flattening effects, which highlighted Cezanne’s key position in the forthcoming art revolutions. Cezanne was a post-Impressionist painter who was the bridge between late 19th Century Impressionism and Cubism - the early 20th century’s new line of artistic probing. Both Matisse and Picasso said that Cézanne "is the father of us all." Of course, before Cezanne, Claude Monet and Edouard Manet were key players in Impressionism and instrumental in the genesis of modern art. Will played a game with us – testing the audience with a range of paintings to see if we knew which was a Monet or a Manet (Manet used more black and, famously, painted a high-class prostitute staring straight at the viewer). Happily, in the main, the guesses were correct. In later decades, it was Duchamp who is considered one of the most important artists of the 20th century and his output influenced the development of post-World War I western art. Will pointed out that Duchamp analysed creativity and maintained that the creative act is not performed by the artist alone – but the spectator brings the work into contact with the external world by deciphering and interpreting its “inner qualifications” and so adds a contribution to the creative act. With the help of three volunteers from the audience, Will recreated the time in New York when Duchamp, walking with two companions, first had the idea of using the urinal as an artistic statement after seeing one in a plumber’s merchant. Duchamp later advised modern art collectors, such as the libidinous Peggy Guggenheim, and helped shape the tastes of western art during this period. 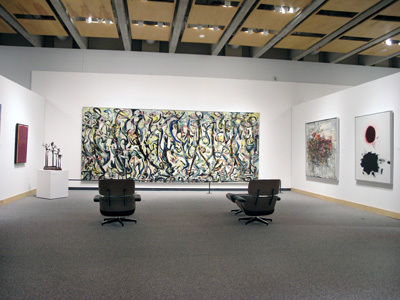 Indeed, Peggy became the patron of the alcoholic abstract expressionist, Jackson Pollock, and championed his work when he used the technique of drip-painting. He later received a commission to paint Mural (1943) - eight feet tall and 20 feet long. At Duchamp’s suggestion, it was painted on canvas rather than a wall, so it would be portable. – and it was this painting which, Will added, was to later cement his reputation as a great artist. Early on, though, his work had failed to sell, but it now fetches astronomical sums and is part of a billion-dollar industry, with dealers like Larry Gagosian running eleven galleries around the world’s capital cities to highlight the hyper-commerciality of art today. Indeed, Will suggested that the British artist, Damien Hirst, has a shrewd business brain, as well as being highly innovative. In September 2008, he took the unprecedented move for a living artist of selling a complete show, Beautiful Inside My Head Forever, at Sotheby’s by auction and by-passing his long-standing galleries. 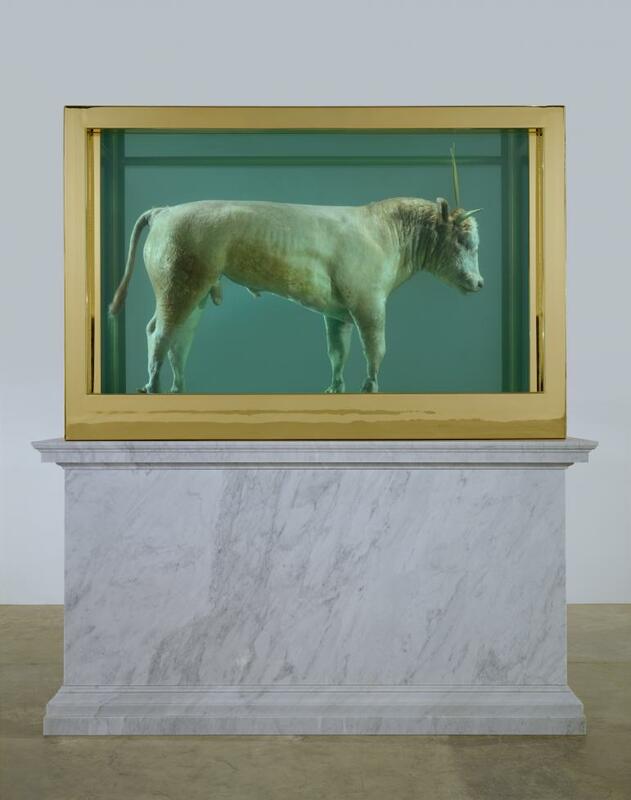 The auction exceeded all predictions, raising £111 million, breaking the record for a one-artist auction, as well as Hirst's own record with £10.3 million for The Golden Calf, an animal with 18-carat gold horns and hooves, preserved in formaldehyde. Hirst is Britain’s wealthiest living artist, with an estimated fortune of £215 million and when he took A-Level art, his grade was…..an E.
Over 140 people attended Will’s talk, with total proceeds of £945.